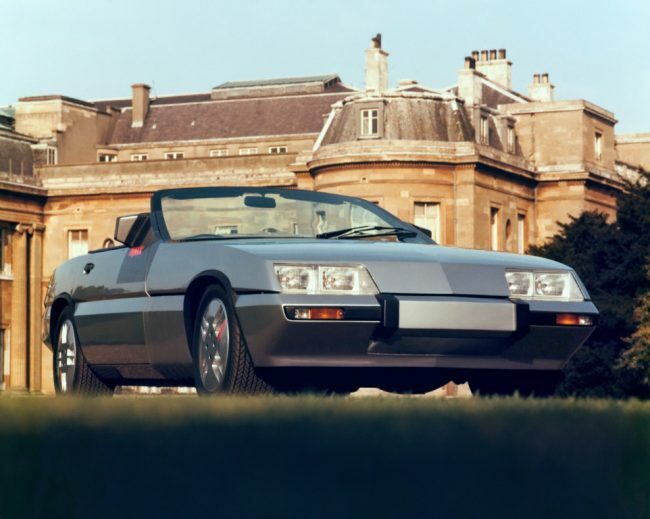 Keith Adams tells the story of the promising Vauxhall Equus – a sports car from Luton which could have shown the Triumph TR7 the way home, had it made it off the ground. 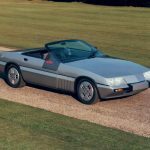 Panther Westwinds would have built this Magnum-based ragtop, but would it have sold in the post-hot hatch world of the 1980s? 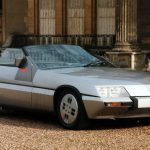 In 1977, Vauxhall-Bedford’s hugely talented Design Director, Wayne Cherry, penned his idea of how a new generation sports car for the masses should look. The car incorporated a considerable amount of his then-current thinking – so it received the famous Vauxhall droop-snoot, a long, low bonnet and stubby high tail. It was seemingly fashioned using nothing but straight edges – and, on paper, it looked fantastic. 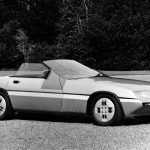 At the time, Vauxhall’s Styling Studio in Luton was a busy place to be – it had already produced the Cavalier and Chevette (the UK’s take on the Opel Ascona and Kadett), and was already fashioning some interesting proposals for the Astra (which, sadly, didn’t see the light of day). 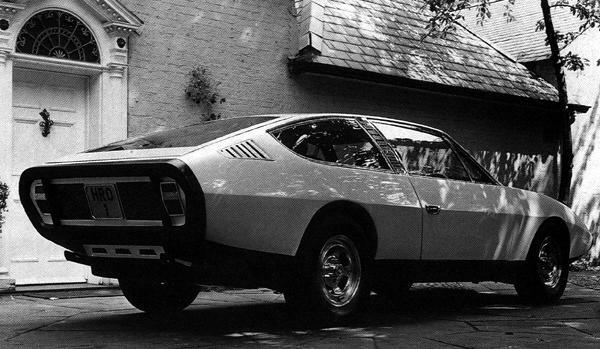 The job of building the prototype Equus was therefore entrusted to Robert Jankel’s Panther operation, based in Surrey. 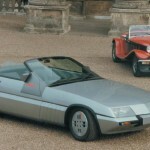 There were loose ties between the two companies already – the Panther 6 had oodles of Vauxhall DNA in it and, more tangibly, the popular Lima retro-sports car was based on a Magnum floorpan and powered by that car’s sweet 2.3-litre slant-four engine. 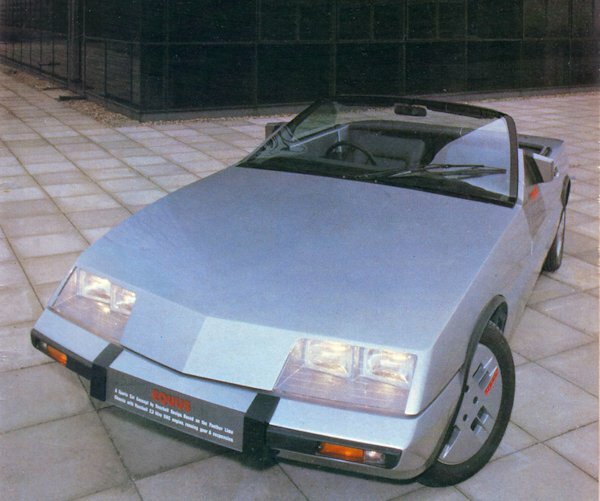 So, when it came to fashioning the Equus for Vauxhall, Jankel based this concept on his Lima – with the full expectation that, should Vauxhall want to put it into production, it would be a feasible option. As it transpired, the Equus wasn’t seriously considered for production – the Second Oil Crisis kicked in just after the car’s unveiling, followed closely after by the announcement from BL that MG sports car production at Abingdon would be coming to an end – and, in that cold, bleak climate, a car like the Equus would simply not be allowed to survive. Vauxhall’s Design Department was soon scaled back after this – and, by 1983, all GM Europe design had been moved to Opel’s base in Russelsheim. I remember reading about this in ‘Car’ magazine back in the day and being very impressed. Still looks good, hasn’t dated as much as many other things from that era, and one of the great lost opportunities. It could’ve been an MX5-competitor years before Mazda even thought of their idea. If only the TR7 had looked like that! This is actually a good looking car and as good as anything on the road now. The droop snoot front reminds me of Chevvy versions of the J car that were built in the USA. I always had respect for Wayne Cherry’s designs particularly his work on the MK1 Cavalier & Sporthatch. Great shame that the Vauxhall Design studio was shut and moved. As has been said, Opels & Vauxhalls are one and the same but I do hope the Griffin will always survive. My Dad’s first 2 cars were Vauxhalls and I owned a Viva so I guess my interest and affection stems from there. I too remember this concept from ‘back in the day’. Loved it then, love it now. As a 14 year old, I had a picture of Equus on my bedroom wall in 1977, next to a Chevette HS rally car. Loved it then and it still looks good now. Looks good, a car like this suits the shovelnose. Almost a Renault Alpine GTA look about it. Though I’m not sure about the lower A pillar treatment, my ever-decreasing eyesight wont let me read the design notes as to it’s justification. Remember seeing the Equus when it was star of the ’78 motorshow – the first at the NEC, where it sat alongside the then-new Carlton and Royale. I think we knew it wouldn’t make production, but it looked fantastic and helped set the new design direction for Vauxhall. Do any pics of Cherry’s design proposals for the Astra still exist I wonder? Not a bad looker , and it seems to me as though it was copied to produce that rather strange Reliant sports the name of which escapes me . Or did the Reliant come first ?? The Reliant SS1 was several years later, and was possibly the pig-ugliest car ever put on the road. I can see a similarity, but it’s criminal to mention the two in the same paragraph. The influence on the Camaro that came out in 1982 is unmistakable. 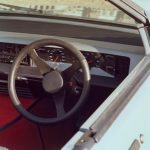 The late seventies were the turning point for Vauxhall and they were moving away from the image of rustprone and uninspiring products that had dogged them for most of the decade. By 1978 the Cavalier and Chevette were big sellers and vastly better than their predecessors, the new Carlton found a niche competing against 2 litre Fords and the new Royale was an exceptionally good car. 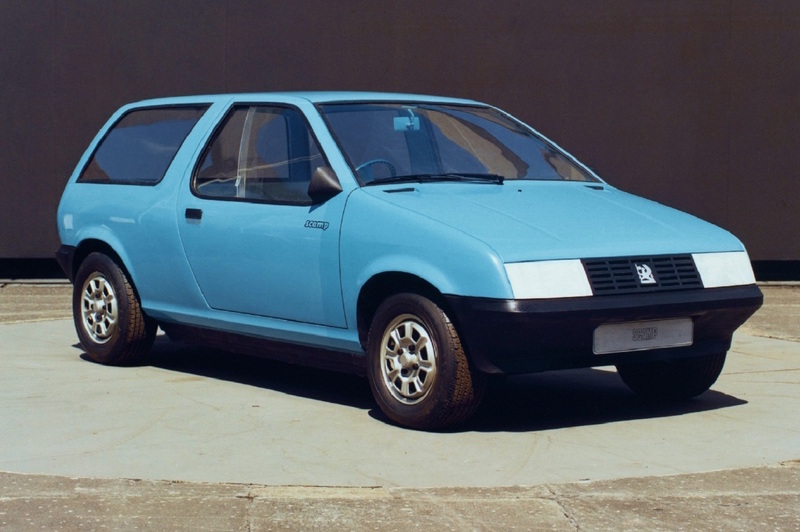 Should the Equus had gone into production with the choice of a 2 litre four or a 2.8 V6 from the Royale, then this would have really showed that Vauxhall had arrived. Bloody awful, not one atom of that shapeless mess interests me one bit! The TR7 was a good looking, nicely styled car (side window shape excepted) and should not be compared with this ugly 80s disaster! Thanks, Keith – I’ve always loved this beautiful concept car – yet another of Wayne Cherry’s understated masterpieces. I’m also pleased that there is an interior shot – always wondered what it looked like inside – I needn’t have worried, it looks a bit like a VX 490!! It was ahead of its time: it looks far more 1982 than 1977 to me. For some reason it evokes the Mitsubishi Starion to me. 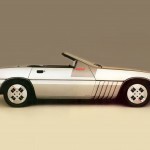 Does anybody remember the Starion? @18 – Yep! Good spot! Would love to see the designs for the Astra that Vauxhall did,was Simon Saunders involved because he did designs for the Cavalier Mk2. Keith maybe you should interview Wayne Cherry,I would think it would be a very interesting read. I also remember the Car mag article and still have every issue through those years. Personal opinion aside, it has to be appreciated just how advanced the styling was – for that period. Technically it is difficult to imagine changing or moving a single line without spoiling the balance – and this from a guy who dislikes the droop snoot concept in any form. Many other cars have that attribute – the B, Healey 3000, E Type etc. Sadly not the TR7 which most schoolboys with a half-inch crayon could improve on – in my view. The TR7 as a V8 convertable in the right colours with 15inch minilites is really quite a good looking car. Although I am biased as I have one. Very different too a poo brown coupe with red tartan on 13 inch steels! I guess that 2.3 litre OHC engine would be similar to the one fitted in Victor FE, VX & Magnum’s in the 1970’s? 108-116bhp if I recall. 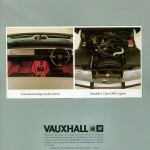 Yes it was Vauxhall’s biggest engine at the time and fitted to the Magnum and VX/Victor and Chevette 2300 HS. It was a decent engine and very tuneable and would have been good in the Equus. However, by 1979, with Vauxhall and Opel ranges merging, Vauxhall’s slant four engines had been almost completely phased out( only being made in very small numbers for the Chevette HS) and it’s likely the Equus would have used a more efficient Opel based four. Actually a turbocharged version of their 2 litre engine would have been an excellent powerplant. A stunning piece of styling which still looks good today. 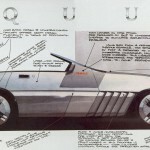 Even from the side it looks good whereas in comparison the TR7 and Scimitar SS1 were both epic fails. The bonnet of this is strangely flat and I can’t imagine it going into production without some ribs or other stiffeners. Some of the styling elements at the front end made it into the 1982 Chevy Camaro which, to my eyes, is another styling masterpiece. Camaro and even the 80s-90s Corvette has hints of this. The clamshell bonnet and side swage line were later used to good effect in the 916-type Alfa GTV. As a Droopsnoot owner, ex Lima owner, and 70’s Vauxhall fan (I was Apprenticed there), I loved the Equus concept. It was, for a long time in the 80’s and 90’s, in the Patrick Collection in Birmingham. Since disappeared publicly, the Panther Club managed to display it quite recently, so I don’t think Wayne Cherry owns it.